The uber-luxury villas on the Palm and the more affordable apartments in Sports City are recording the best recovery in values from the lows hit during the last 30 months. Properties in Sports City have put on more than 3.5 per cent from what they were in 2014, while Palm villas come in just under that, according to data from Reidin-GCP. Apartment prices on the Palm are also gaining some of the value shed during the correction, gaining 2 per cent. Across Dubai’s freehold areas, the value increases are currently at the 1 per cent mark, while for villas specifically, it is at 1.5 per cent. So, what is it that today’s investors are looking for in Dubai realty? “Palm Jumeirah fell considerably more than the city-wide – or even the villa index – over the last two years,” said Sameer Lakhani, Managing Director at Global Capital Partners. “Palm Jumeirah prices fell by more than 22 per cent compared the villa index average of 17 per cent. Of late, there has been some bargain hunting and that explains the current bounce. For sure, investors are bargain hunting at both ends of the price spectrum. International City apartments have also seen a bounce in values from their 2014 levels, as have the residential units in Jumeirah Lake Towers. Also in the market shortly will be residences The Pulse, another mid-tier community marked for Dubai South, and where a studio starts at Dh280,000. It’s interesting that Dubai’s principal freehold locations such as the Palm are still seeing a fair share of launches. Among private developers, Palma Holding and Azizi have got ongoing projects there, while the master-developer is getting ready to engage in the sales launch of the Palm 360, which is going to raise the bar by quite a few levels on super-premium apartment living. According to Kareem Derbas, CEO and Co-Founding Partner of Palma Holding, which is the developer of Serenia Residences, “Overall, there has been several launches on the Palm with different value offerings, which has seen a slight increase in property listings. Although the norm has been demand for ready property on the Palm, we see a trend towards off-plan as clients are seeking higher quality and newer developments. For the international investor scouting for new property assets, the yields in Dubai are still deemed attractive. But if he is seeking higher yields, he ought to be looking further down the value chain. 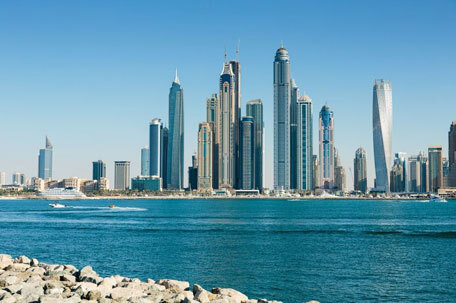 “The more affordable you go, almost everywhere in the world – but especially in Dubai – the higher the yields are going to be,” said David Godchaux, CEO of Core Savills UAE. “This is because the investment risk is much greater as affordable tenants are less steady and the quality of construction is typically lower. So, investors in affordable areas will want a better return in line with the higher risks. “In today’s Dubai market, yields are at very high historical levels and this translates into a high cost of renting against the cost of owning. We see more people shifting from rental to ownership over the next few years. A point that Lakhani reiterates – “A yield compression is on the horizon implying prices will rise. But unlike the 2011 upturn, when property values made strong gains almost overnight, the upcoming recovery will be more gradual in nature. For a property market on the mend, a gradual regaining of health is the best outcome.